If you’ve been looking into human hair extensions, you might be wondering what the difference between single and double drawn hair extensions is. The quick answer is that single drawn hair extensions look dull, thin and scraggly, whereas double drawn hair extensions are luxuriously glossy, full, strong and silky. But what are single drawn and double drawn hair extensions? And what makes the quality of double drawn hair extensions so much better than single drawn? Because of the way human hair grows, your hair is made up of lots of different lengths. It’s normal to lose an average of 100 hairs each day but don’t panic, usually these hairs have just come to the end of their growth cycle and will soon be replaced by new hair. Because of the constant shedding and renewing, the length of individual hairs range from those brand new hairs that have just sprung from your scalp, all the way down to that one single longest hair on your head. 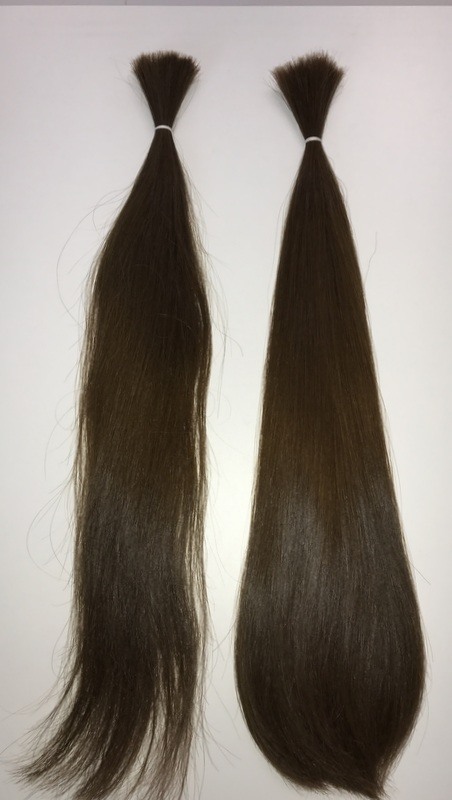 Human hair collected to be used as hair extensions is no different. Russian hair usually comes from small, remote villages. The hair might not have been trimmed in years. It’s most likely been washed with poor quality shampoo, rarely been conditioned, combed and brushed with poor quality tools, and tied back with elastic bands – not pretty. It is bought and sold by weight and length – longer hair fetches a better price, even if it’s thin and sparse on the ends. Women and girls who sell their hair grow it as long as possible to get the best price. So, when I buy a raw ponytail that measures 22” at its longest point, on average only around 5% of the hair is 22”, then 10% is 20”, 15% 18”, all the way down to the very shortest hair which is less than a couple of inches long. Single drawn v Double drawn There’s just no competition, is there? A single drawn pony tail is a raw pony tail with the shortest 6 inches of hair removed. The rest of the ponytail is made up of all the different lengths described in the last paragraph. So, if you pay for 22” single drawn hair extensions, chances are you’ll need to have anything up to 6 inches cut off the length to make it appear fuller, unless you’re happy with scraggly, rats’ tails that is! What’s more, you’ll also get something you hadn’t even considered – lots of split and dead ends. Double drawn hair goes through an additional process where all the hairs within a ponytail are separated and sorted, a few at a time into the various lengths. The main reason for this is not to sort the lengths though, it is to remove split and dead ends. Double drawn hair takes lots of time, patience and care to prepare. This is done by hand and is a very labour intensive and specialised skill. So why do we go to all this trouble? It’s because double drawing the hair transforms it from flawed, raw material into the luxurious, crème de la crème of human hair extensions. 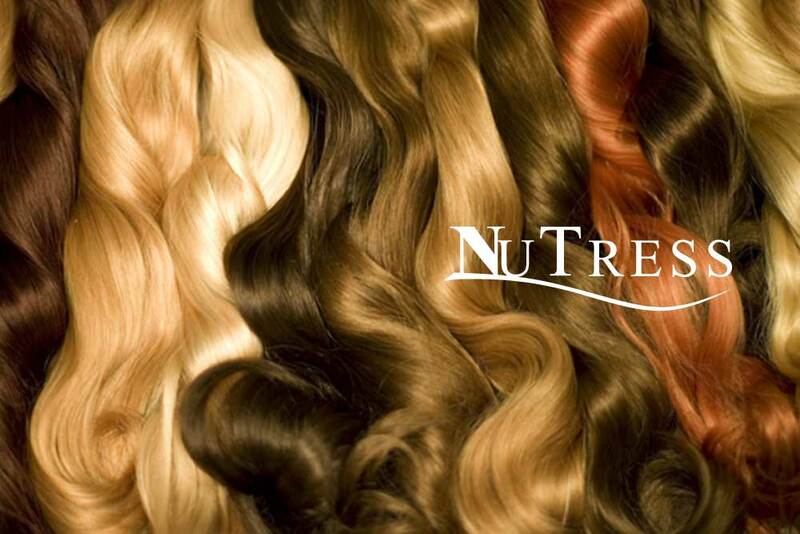 Double drawn hair is the only choice if you want beautiful, glossy hair extensions. Single drawn hair extensions don’t even come close.